My wife Anne is an avid landscape photographer so finding ourselves scenic camping spots is an integral part of our RV lifestyle. The best photography light happens in the so-called golden hour around sunrise and sunset. Setting up camp in amazing scenery really helps by saving driving to and from a location, as we are already there. While she is off photographing the beautiful landscapes, I more often than not find myself photographing the rig in the camp spot for our scrapbook memories. So here are my favorite scenic camping spots from 2014. We drove past this little dry camping area in the State Recreation area the year before and marked it down as a location to check out the next time through. What a great spot to kick off the year 2014. 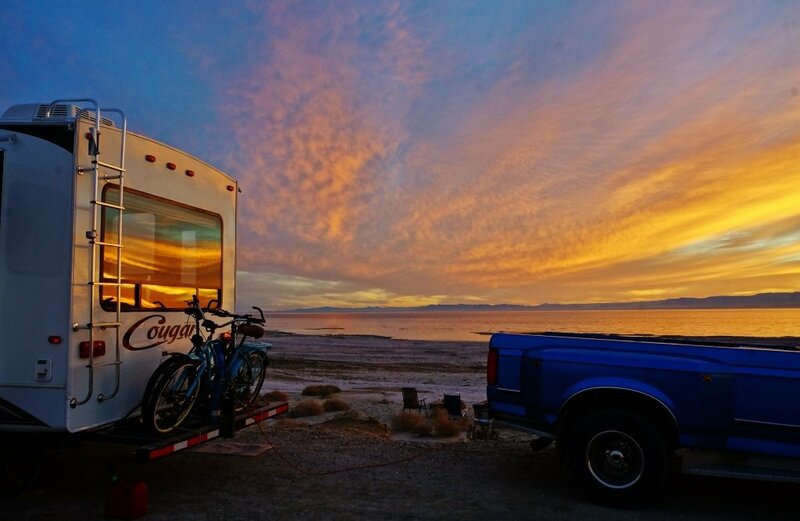 We spent 4 days just chilling out enjoying the sunsets and watching the abundant bird life that the Salton Sea attracts, even us snowbirds. Loved the tranquility of its very unique desert beach scene. 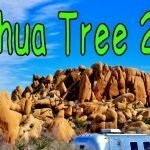 We visited Joshua Tree National park once before but only scratched the surface of this funky treed high desert landscape. Once again we had a tremendous time hiking and photographing there. 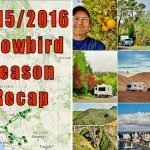 It took me three blog posts to cover the highlights of our 5-day stay. The weather was sunny and warm for such a high elevation in the winter and we witnessed one of the best sunsets of the year. 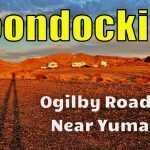 We stayed in this off the beaten path BLM boondocking location as a base to explore Organ Pipe National Monument. They call this region the Green Desert for its quantity of cactus and desert plant life. It gets a little more rain than other areas. In some parts, it’s literally like a jungle of cacti. 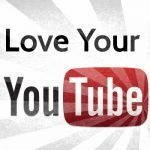 Here is my YouTube video showing our campsite at the Gunsite Wash BLM campground. 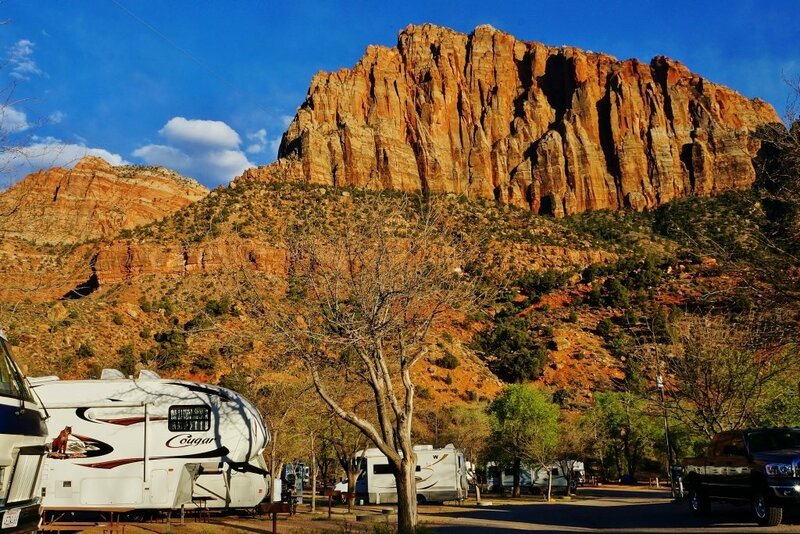 Gilbert Ray campground is a real gem! It’s a little county park to the west of Tucson very close to the Saguaro National Park, home to forests of the huge cactus. The camp sites aren’t very big and they don’t have sewer hookups, but it’s all about location, location, location. 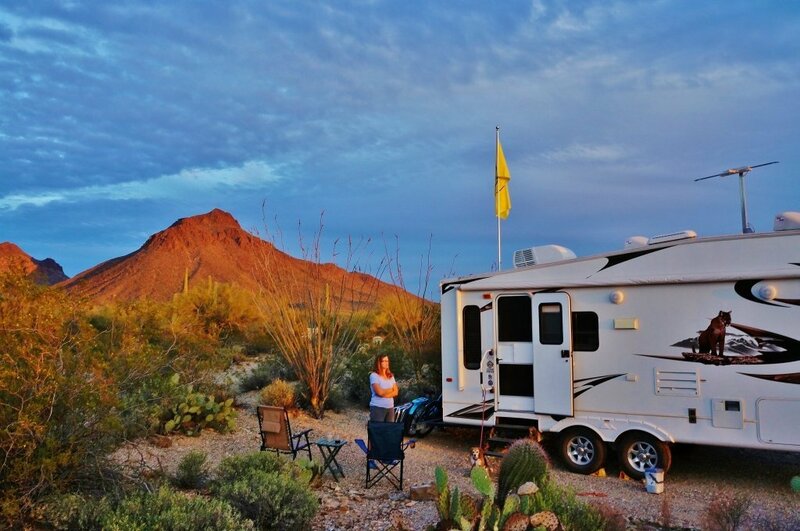 All around you are tons of cactus, beautiful rocky hills and glimpses of desert wildlife. It feels like camping in a cactus garden. It’s no wonder they limit the stays to one week so many more folks can experience the beauty. 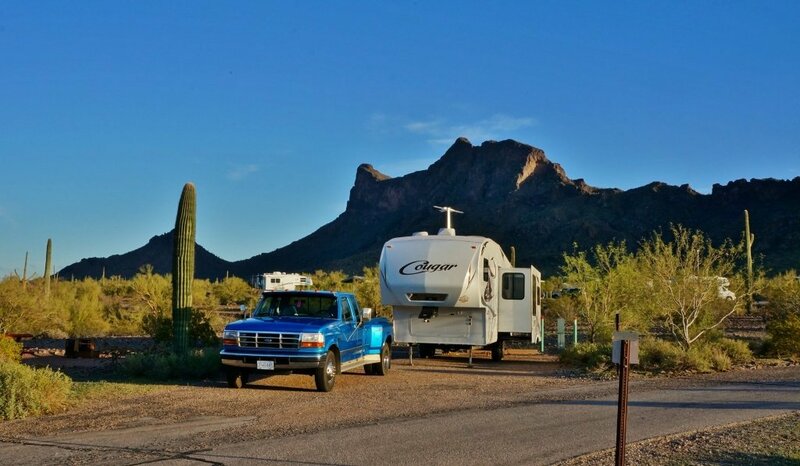 When traveling along Interstate 10 between Tucson and Phoenix it is almost impossible to miss Picacho Peak as it juts up out of the flat desert. It was so intriguing we just had to check it out. 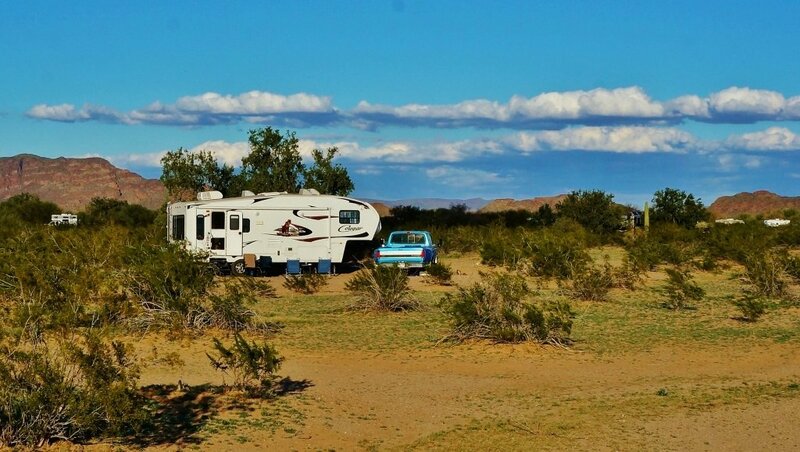 What we found was a very well maintained state park campground with spacious sites and beautiful views all around. 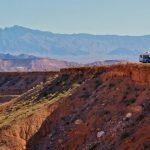 There is also some fascinating desert hiking to be had. The best of which is the hike to the peak itself. I didn’t make it to the top, only to the saddle area but even that was exhilarating. 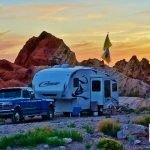 We absolutely love Valley of Fire State Park in southern Nevada. Near sunset, the multicolored sandstone lights up in a photographer’s dream. 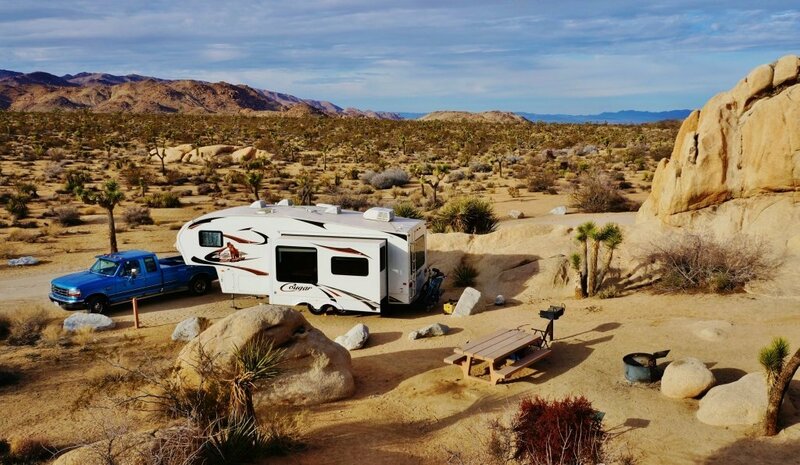 As a base to explore this park from we chose a free boondocking area know by some as Snowbird Mesa and others as Poverty Flats. It’s not much of a campsite with just flat gravel, but the overall vista is super cool! A couple hours drive from Snowbird Mesa on the other side of the Virgin river valley is another BLM jewel up in the hills called Whitney Pockets. 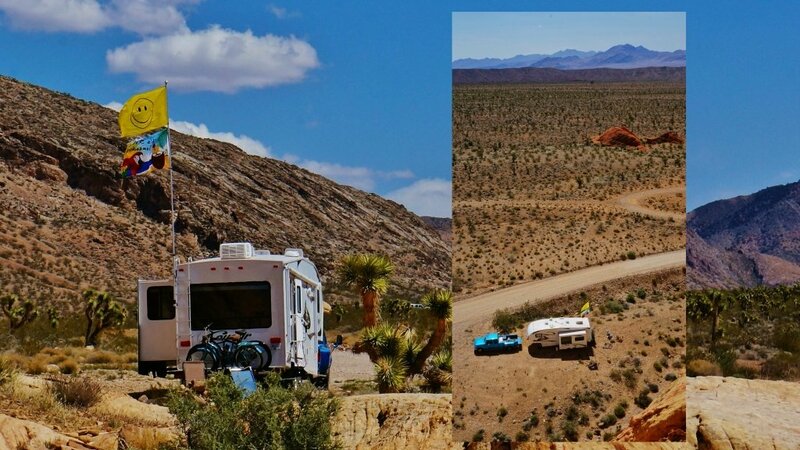 It requires a bumpy trip up a few thousand feet on a rough paved road, but the payoff is a terrific camping location in among colored sandstone outcroppings and more fabulous vistas. On the weekends, many ATV enthusiast showed up using the camp area as a base to explore the many rough 4×4 trails. But, during the week we had the place almost to ourselves. Blessed by a streak of warm weather in early spring we got the chance to revisit Zion National Park in Utah. I put this NP in my top 5. I just love it. I sometimes can’t believe the spectacular scenes before me can be real. A highlight for me during this visit was the completion of one of the parks signature hikes, the Hike to Angels Landing. My knees hurt for days, but you couldn’t wipe the smile off my face. 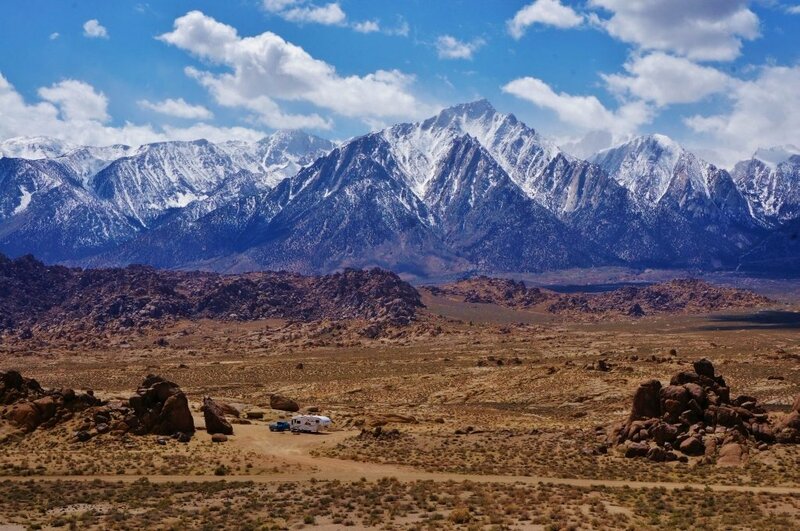 Jaw-dropping gorgeous views are the norm in the Alabama Hills. We stopped at the visitor center and talked to a knowledgeable ranger, asking for his recommendation for camping. We wanted to be away from the traffic and with a good view of the mountains. He pointed his favorite spot out on the map and we headed off to look. Well, it was several miles of washboard past the most popular spots but well worth rattling the truck and trailer a bit. 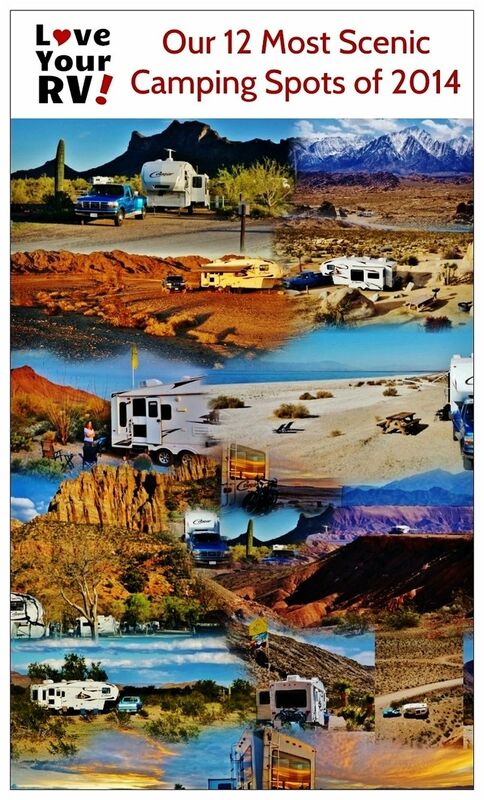 We felt like we were the only RVers for miles. The scale of the place was breathtaking and held scads of photography subjects like arches, giant boulders, and bizarre rock outcroppings. 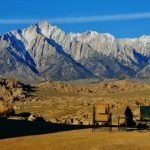 Not to forget Mount Whitney, the tallest peak in the lower 48 states right in front of us. 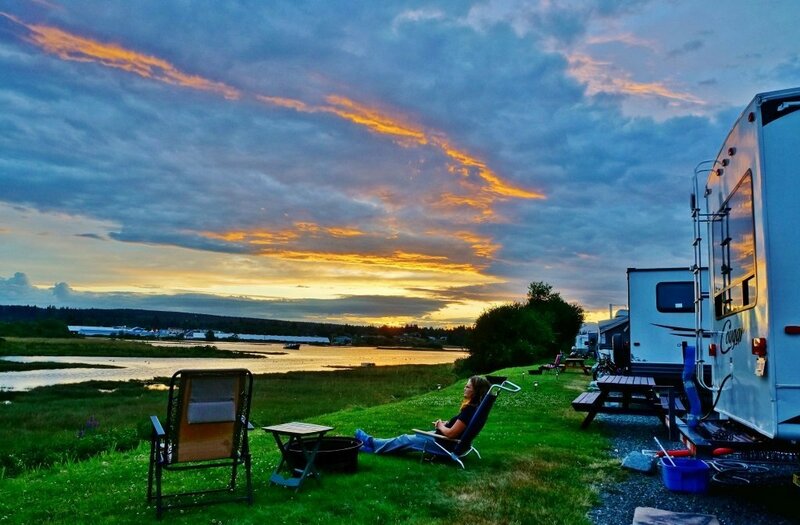 During the summer, we spent two very enjoyable months at the Thunderbird RV park in Campbell River. On one side of the park was an every changing lush saltwater river estuary and on the other side a rocky ocean beach with views of the Discovery Passage waterway. A highlight of the stay was walking out on the spit in the long summer evenings to watch the scads of little rowboats out attempting to hook a giant “Tyee” salmon. Quite the lovely scene as the sunsets. 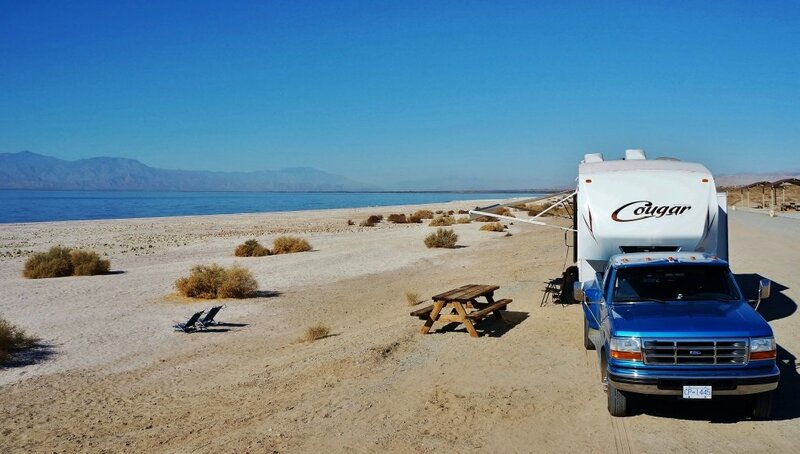 Finally, the last days of 2014 found us back at the Salton Sea in California. Kind of a fitting way to wind up the year where we started it. 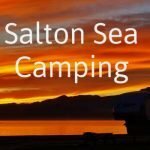 This visit we explored another nice little dry camping spot in the state park called Salt Creek. It was very much like Corvina Beach but with many more pelicans and other birds. Every day dozens and dozens white and brown pelicans would show up and hang out on the shoreline in large bunches allowing Anne to use her new 400MM big lens. Once again we witnessed some amazing sunsets and enjoyed the most peaceful atmosphere. 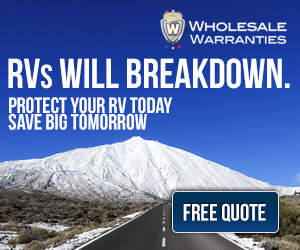 Happy New Year everyone and may 2015 be the best RVing year ever!